Brand new documentary series, The Secret Life of the Ballroom, waltzes onto W on Sunday 17th Septemberat 8pm. This sequin-filled series follows ten ordinary people’s lives, charting the real pressures of preparing to embark in competitive dancing for the very first time. Rushing from the school run to the rumba and Cha Cha Cha’ing in their lunchbreaks, this series takes a unique look at how everyday people juggle work, relationships and family life against the backdrop of the ultracompetitive dance circuit. 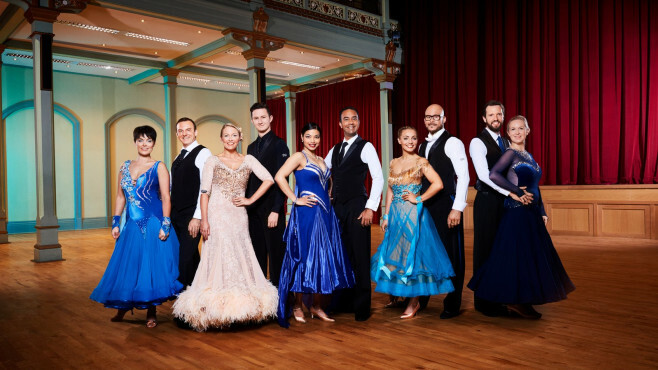 Over three months the series follows each pair as they attempt to master six classic routines including Samba, Jive and the Quickstep, and pull together show-stopping outfits to help them catch the judges’ eye. Can practice really make perfect and how will they cope in their efforts to taste sweet success? The Secret Life of the Ballroom meets 44-year-old Roberta from Brighton, who’s roped in her 18-year-old son, Harry, as her dance partner, and flamboyant Mike from Birmingham, who’s left his husband and beloved dog at home to tread the boards with his best friend, Donna. Near Portsmouth, a pair of award-winning freestyle dancers, Heidi and Deej, think they’re ready for ballroom, only to find it’s not as easy as it looks, while in London young sporty couple, Ben and Laura, take on the competitive challenge as something they can do together. Alongside these are busy consultants Vanessa and Paul from Bristol, who juggle their high-flying work schedules with intense dance training. This heart-warming series shows how busy lives, already filled with everyday challenges are turned upside down as the world of dance becomes all-consuming, testing relationships and changing their lives forever.